Wedding gifts are a wonderful way of showing the people you love just how much you appreciate all the support they’ve been offering you throughout the wedding planning. Of course, among all these people, your parents play a huge role and you definitely want to show them, of all people, just how much they mean to you. What are the etiquette rules you should remember when it comes to your parents’ wedding gifts? When should you do this? We have some tips for you – so read on and find out more. You can do it during the reception too. However, please keep in mind that no matter how thoroughly you plan everything, your day-of schedule may go off – and you really want to have a private moment with your parents when you offer the gifts. If you don’t want to risk not having the time to really sit down with your mom and dad, it’s probably best to offer the gifts before or after the wedding itself. You can do it during the morning of the Big Day. You will most likely have an entire getting ready session at your disposal before the wedding ceremony, so why not use the time to offer your parents the gifts? Take them to a separate room and thank them for being the most amazing parents in the world. This is bound to add up to the emotion of the entire morning and create beautiful memories you will all remember for the rest of your lives. You can also do it after the wedding. However, we wouldn’t postpone it too much – organize a special brunch on the morning after the wedding and offer your gifts then. It’s a really, really nice way to end the entire event – it will make for an emotional, special moment. 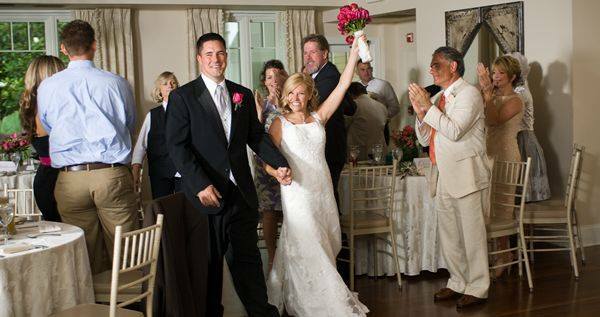 Are you looking for a gorgeous wedding venue on the Eastern Shore? Contact The Oaks right now and allow us to be the ones who will provide you and your guests with an amazing space to celebrate your love story! Contact us and schedule your personal tour – you will LOVE this place!